“The war between J. Edgar Hoover and Attorney General Robert F. Kennedy was a scorched-earth campaign that burned throughout the 1960s.”– Tim Weiner, Enemies, 223. Just as J. Edgar Hoover had not liked or trusted John F. Kennedy, so too did he dislike Attorney General Robert Kennedy. They fought on a number issues ranging from JFK’s romantic indiscretions to the Civil Rights movement. Robert was an outspoken advocate of the civil rights movement and yet, there were two issues that time and time again dominated the attention of the young attorney general as evident by his orders to the FBI. The first issue was organized crime and the second was communism in the United States. J. Edgar Hoover, like he had with so many other titans of American politics, was whispering threats of communism in the ear of Robert Kennedy. This allowed Hoover and the FBI use their own social biases to survey and harass whoever they wanted under the guise of suspected communism. I have already written about the relationship between the FBI and race and you can read that here. For years Hoover was a silent antagonist to the civil rights movement and now he used his suspicions of a link between civil rights and communism to get permission to survey black activists in the US. David Garrow writes in his book, The FBI and Martin Luther King, Jr. that despite his dislike of Hoover, often times Robert Kennedy unconditionally accepted FBI allegations of links between communism and specific civil rights leaders. 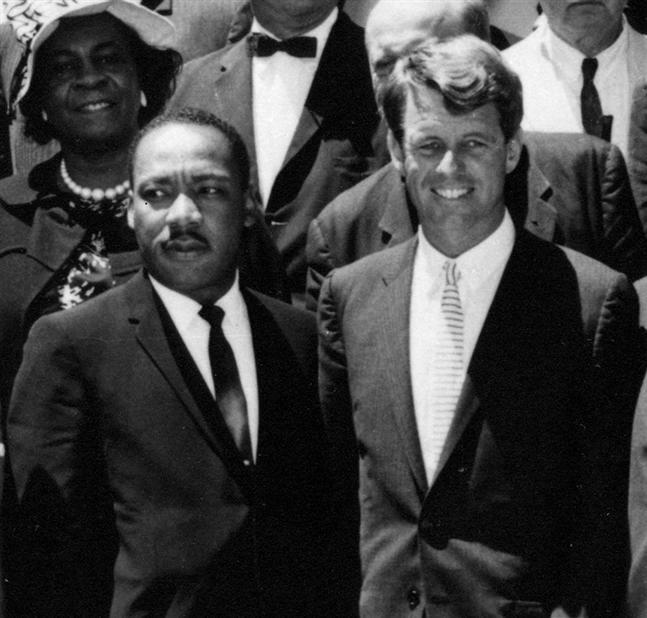 Although an outspoken advocate for Civil Rights, Robert Kennedy was worried how an alleged connection between Martin Luther King, Jr. and Communism would effect the movement. As mentioned before RFK was an outspoken advocate of civil rights and as such was worried how communism and communist affiliations would effect the movement. Both he and the President personally warned King against associating with communists and yet, memoranda from the FBI kept rolling in about his leftist affiliations. Begrudgingly, on October 10, 1963, RFK consented to give unlimited power of wiretapping to the FBI in order to bug King’s headquarters in Atlanta. Hoover’s relationship with Robert Kennedy represents the mastery of his craft as a manipulator. 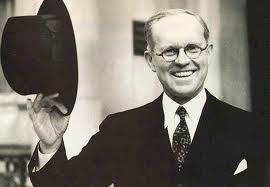 Despite the Kennedy’s distrust and even at points, open hatred of Hoover, he was still able to get what he wanted. David Garrow, The FBI and Martin Luther King, Jr. New York: Penguin Books, 1981. Pp. 95. Time Weiner, Enemies, New York: Random House, 2012. Pp. 235. What Happened Between John F. Kennedy and J. Edgar Hoover? “Hoover’s knowledge of JFK’s private conduct and RFK’s political conspiracies were potentially lethal political weapons. He brandished them now. He let the president and the attorney general know that he know they had committed moral sins.”—Tim Weiner, Enemies, 232-233. If you think about their backgrounds and what they stood for, it’s no surprise that J. Edgar Hoover and the Kennedy family did not get along. There is one exception to that however, Hoover and Joe Kennedy had a lot of mutual respect for one another. Joe Kennedy, the father of JFK, was a successful businessman, an ideal capitalist, and a self-proclaimed enemy of communism. This hatred of socialism was only compounded when in 1959 Joe Kennedy lost a very large investment in a Coca-Cola franchise in Havana, Cuba to Castro’s revolution.In the eyes of Hoover however, the sons of his old friend were entirely different. JFK first came to the attention of Hoover in 1942 while he was having a well-publicized illicit affair with a married woman. Her name was Inga Arvad, she was a columnist for the The Washington Post. The reason the juicy gossip caught Hoover’s eye was because Arvad was a former Nazi sympathizer and a suspected spy. The FBI had had her house bugged for months. It would not be the last time Hoover would be privy to the dirty details of JFK’s private life. 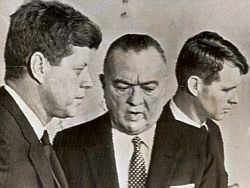 As political enemies, their battle began during the election when, according to William Sullivan, “Hoover did his best to keep the press supplied with anti-Kennedy stories… While Hoover was trying to sabotage Jack Kennedy’s campaign, he was quietly helping Richard Nixon.” Once JFK was elected however, the games did not end. The relationship between Hoover and the Kennedys became increasingly childish and passive aggressive as the years wore on. John would often wait until he knew Hoover might be napping in the afternoon and burst into Hoover’s office unannounced and without consulting with his secretary. John would sometimes discuss things with Hoover over lunch and would purposely upset Hoover’s highbrow gentile sensibilities by taking him to lunch at drug stores. In response to these slights, Hoover was clandestinely amassing files on JFK’s sexual indiscretions and his supposed links to organized crime across the country. While the relationship between Hoover and JFK was mostly one of gossip and childish pranks, Hoover and Bobby Kennedy were involved in much more political skirmishes. Burton Hersh, Bobby and J. Edgar: The Historic Face-Off between the Kennedys and J. Edgar Hoover that Transformed Modern America. New York: Carroll & Graf Publishers, 2007. Pp.8. William C. Sullivan, The Bureau: My Thirty Years in Hoover’s FBI. New York: W.W. Norton and Company, 1979. Pp. 49. 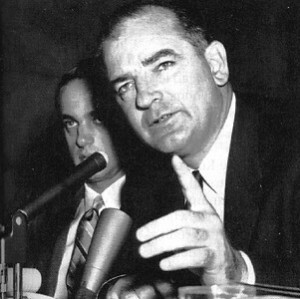 How did Red Scare Surveillance End? “After Half a Century as America’s counterrevolutionary in chief, Hoover no longer commanded unquestioned authority…. The control of secret information had always been the primary source of Hoover’s power. He had lost it.” -Tim Weiner, Enemies, 288. 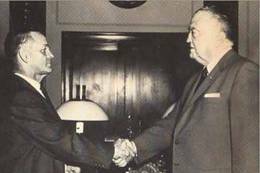 Here William C. Sullivan, the founder of the COINTELPRO, and J. Edgar Hoover shake hands. unconstitutional methods. Unless the FBI wanted to purposely leak information, the world would never know about the intelligence that had been gathered in the name of COINTELPRO. Even the Attorney Generals that Hoover was supposed to have been reporting to had no idea of the program’s existence. 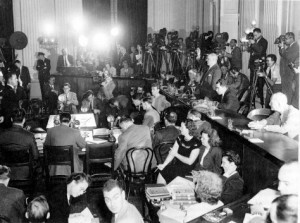 In the 1976 Church Committee hearing investigating the civil rights abuses of intelligence organizations, the committee found that, “To the extent that Attorneys General were ignorant of the Bureau’s activities, it was the consequence not only of the FBI Director’s independent political position, but also of the failure of the Attorneys General to establish procedures for finding out what the Bureau was doing and for permitting an atmosphere to evolve in which Bureau officials believed that they had no duty to report their activities to the justice department, and that they could conceal those activities with little risk of exposure.” That is of course, until March of 1971. 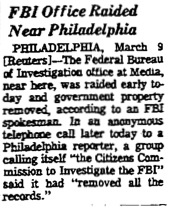 Here the Chicago Tribune reports on the FBI break-in in Media, PA.
next few months the organization continued to leak the information to certain members of the government, as well as members of the press who in turn, relayed the information to a stunned population. Tim Weiner writes, “It took weeks, in some cases months, before the reporters began to understand the documents. They were fragmentary records of undercover FBI operations to infiltrate twenty-two college campuses with informers, and the described the wiretapping of the Philadelphia chapter of the Black Panthers. It took a year before one reporter made a concerted effort to decode a word that appeared on the files: COINTELPRO. The word was unknown outside the FBI.” The country was shocked. A few weeks later J. Edgar Hoover canceled the fifteen-year operation in hopes that no more secrets would leak, but it was too late. The days of an unquestioned FBI had come to an end. Hoover would stay on as director until his death, a year and two months after the break in. The second red scare had been over for nearly ten years but the systems put in place by that fear had stayed operational. Only after the revelations of 1971 could the public truly learn to what extent they had been watched for the past four decades. 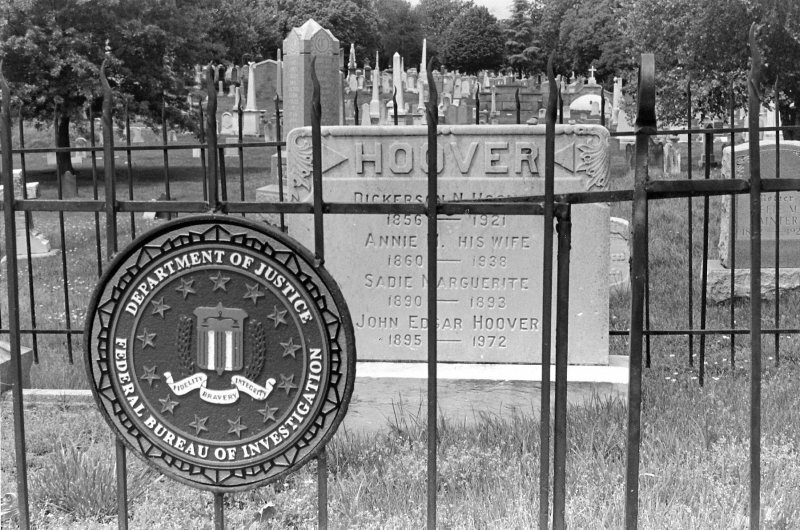 Here is a photograph of J. Edgar Hoover's grave in Washington D.C. He died in 1972, a little over a year after the Media break-in. US Senate Select Committee on Intelligence Activities Within the United States. 1976 US Senate Report on Illegal Wiretaps and Domestic Spying by the FBI, CIA and NSA. St. Petersburg, Florida: Red and Black Publishers, 2007. Pp. 185. James Kirkpatrick Davis, Spying on Americans: The FBI’s Domestic Counterintelligence Program. Westport: Praeger, 1992. Pp. 1. Tim Weiner, Enemies: A History of the FBI. New York: Random House, 2012. Pp. 293. What was the FBI’s relationship to race during this era? 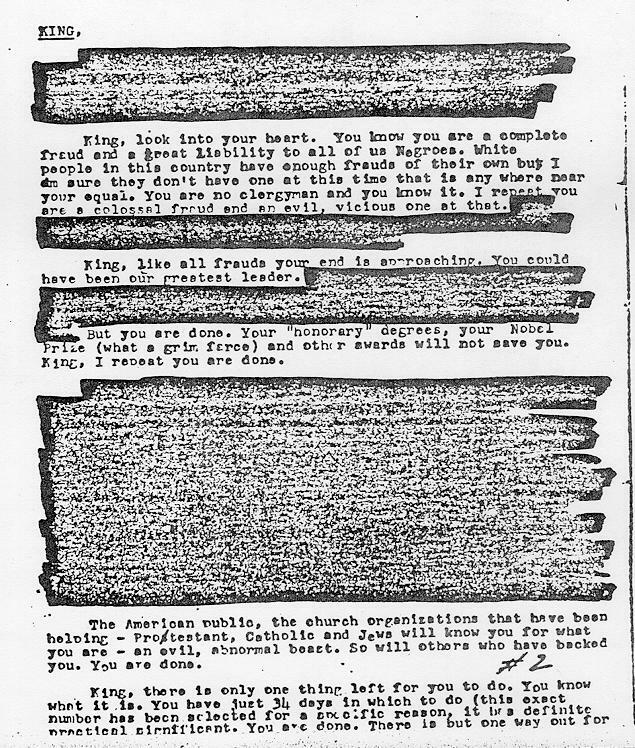 The extensive and complete FBI files on Martin Luther King Jr. can be seen in the FBI online archives here: http://vault.fbi.gov/Martin%20Luther%20King%2C%20Jr. However, for reasons other than politics, Hoover had very pointed views on race that became apparent to anyone who knew him. FBI agent William Sullivan wrote in his memoir about his class of recruits who all joined the Bureau in 1941. He says, “As I took a look at my classmates, I started to notice a certain sameness about the fifty of us. Although we came from ever part of the country and from every type of background, there were no Jews, blacks, or Hispanics in the class. I was later to learn that this was Hoover’s policy.” African-Americans would not be formally admitted under the payroll of the FBI until the late 1940s when the Bureau was desperate to get moles and informants inside various organizations like the NAACP. Whether motivation came from the perceived vulnerability of the Civil Rights movement to communism, or from Hoover’s own prejudices, it seems apparent that the FBI had a very tense relationship toward race in the 1940s, 50s, and 60s. David J. Garrow, The FBI and Martin Luther King Jr., New York: Penguin Books, 1981. Pp. 152. 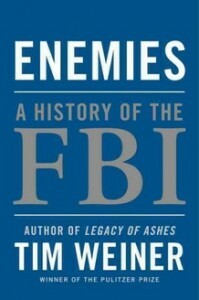 Tim Weiner, Enemies: A History of the FBI. New York: Random House, 2012. Pp. 197. William Sullivan, The Bureau: My Thirty Years in Hoover’s FBI. New York: W.W. Norton and Company, 1979. Pp. 16. J. Edgar Hoover. Masters of Deceit: The Story of Communism in America and How to Fight it. New York: Henry Holt and Company, 1958. Pp. 245. Were there any “Side Effects” of Being Watched? There are obvious benefits and outcomes that emerged from FBI surveillance. One was information. The first and foremost reason for surveillance was intelligence gathering. However, there is something else that interested me about the omnipresence of these FBI listening devices and informants. Were there any “Side Effects”? Were there any unforeseen benefits or detriments for the FBI? One of the most intriguing ones to me is the idea that knowing you are being watched alters behavior. How can we better understand this effect? What writings can we turn to? The Panopticon as imagined by Jeremy Benthem can serve as an analogy to the Surveillance system. We see this principle unintentionally used by the FBI time and time again. The entire culture of the era was steeped in the understanding that FBI agents, informants, or wiretaps were out there and therefore, one must alter one’s behavior. Movies or popular stories such as 1951’s film I Was A Communist for the FBI, also helped to propagate this fear of FBI infiltration. The paranoia was effective. One particularly interesting incident involved the American Communist newspaper The Daily Worker. On January 12, 1953, The Daily Worker accused the FBI of harassing its journalists and beseeched the attorney general to take action. The interesting fact however is that the FBI had not harassed any Worker writers. In fact, besides monitoring the publication with daily clippings, little surveillance had been conducted on the daily publication. In a memorandum from the Washington office to the New York office the author writes, “The (Communist) Part has evidently become so jittery that they decided to try to apply pressure on the Attorney General by accusing the Bureau of intimidation and the use of threats both of which are false. It is believed that we should ignore this attempt…in fact this should give impetus to the program as the Party is undoubtedly very much concerned over our successful penetration.”  Here we see the Panopticon in action, the fear of being watched overtaking the reality of the situation. 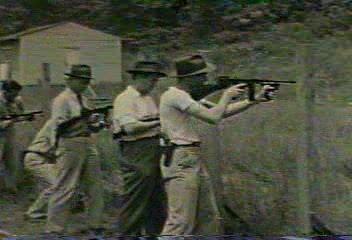 FBI recruits, like those in this picture taken in 1947, were under almost constant surveillance by moles within their training groups. agent William Sullivan joined the bureau in 1941 and eventually rose in the ranks to third in command of the entire organization. In his memoir The Bureau: My Thirty Years in Hoover’s FBI, Sullivan remarks that from the first day of training on, the threat of internal spies turning agents in for being overly critical of policy or for indecent behavior is perpetual. The knowledge of FBI presence for both citizens and lesser agents may have contributed to a considerable behavioral change, although substantiating that may be a very difficult task for historians. Either way, the idea of the Panopitcon should remain a very real and effective comparison to make when analyzing surveillance theory and the FBI during this era. David J. Garrow. “FBI Political Harassment and FBI Historiography: Analyzing Informants and Measuring Effects.” The Public Historian, Vol. 10, No. 4. (Autumn, 1988. Pp. 17. Michel Foucault, Discipline and Punishment: The Birth of the Prison. New York: Vintage Books, 1977. Pp. 201. William C. Sullivan. The Bureau: My Thirty Years in Hoover’s FBI. New York: Norton, 1979. Pp. 19.